Happy Workwear specialises in incorporating odour-resistant fabric into workwear. Farmsuit® is the first innovative result. This result is due to the entrepreneurial spirit, unlimited ambition and enthusiasm of the Happy Workwear team. We respond to the needs of individuals and professional companies both within and outside the agricultural sector. Order a Farmsuit now ! Review by Ilona Schenke "I tried your overall for the first time today. Fits well and looks good! And there was nothing to smell! Totally okay. " 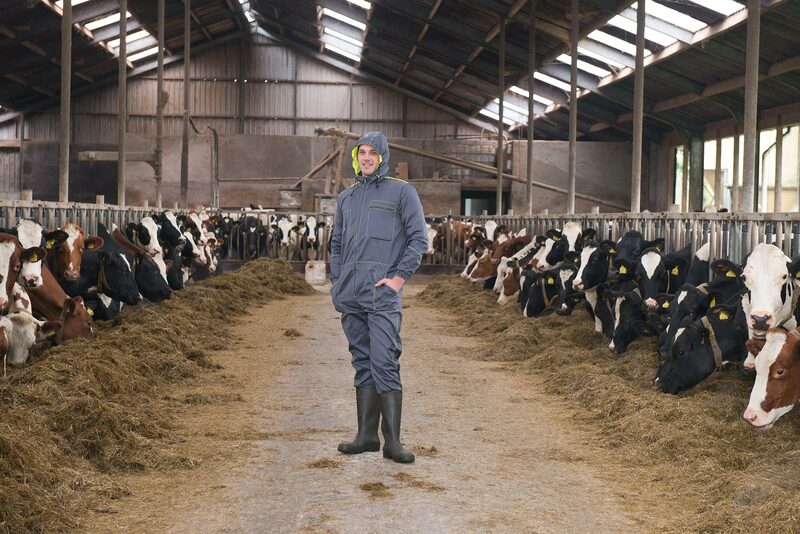 Review by Coen Tackenkamp : "Received my Farmsuit today. Great to wear and left the barn odour-free! Excellent! " 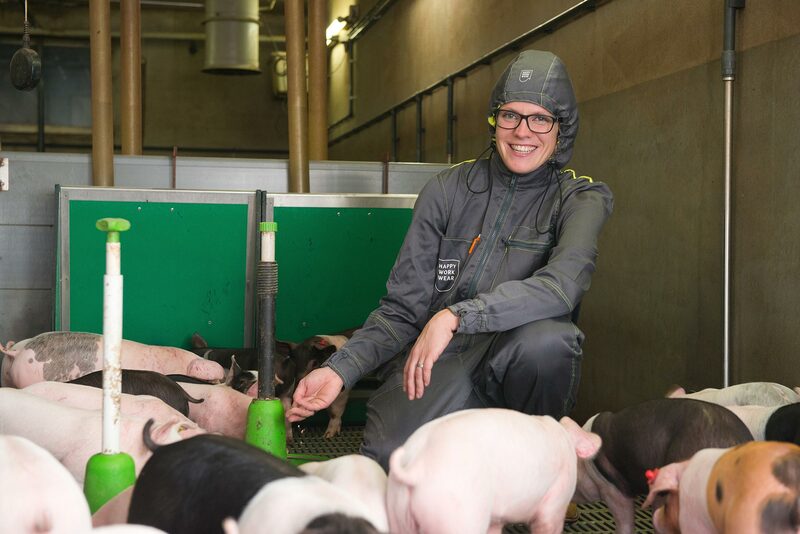 Review by Han Swinkels, Jury member For Farmers Innovation Award: "I was amazed. After wearing the overall in the pig barn for 45 minutes, there was no hint of pig stench in my hair or clothing." Review by Maria te Stroete : "I run a cattle and pig farm. I have tried the overall out all the way from the beginning to the end and I am very satisfied. I highly recommend this overall for all farmers, because you really do step out of the pig barn odour-free." Review by Bas Stoverink : "I tried the overall out while removing some walls in the manure pit. Afterwards, you couldn’t smell any ammonia or manure on the clothing I wore underneath. Even the overall didn’t smell too bad. This overall is certainly worth buying! "